Was The COWARD Roger Ailes Not Conservative Enough To Keep From Dying? Here’s Why Your Fox News ‘Hero’ Is Actually A Leftist Corpse. If you are a country-loving American feeling sad about Roger Ailes, STOP. RIGHT. NOW. Ailes, a man once perceived to be among the greatest patriots our country has ever known, is no longer worthy of your red, white, and blue tears. Those who remain willing to defend shameful Mr. Ailes, please answer this: Was the COWARD Roger Ailes conservative enough to keep from dying? Clearly NOT. Here’s why your “hero” of Fox News is actually a LEFTIST CORPSE. Roger Ailes’ rotting carcass fails to exhibit the most basic tenets of conservative ideals. When it comes to life and liberty, Ailes’ HYPOCRITE dead body entirely lacks in the former and is eerily silent on the latter. This TWO-FACED SNAKE, who built the foyer of right-wing thought we know as Fox News, turns out to be just as void of life as so many of the liberal snowflakes he falsely separated himself from. 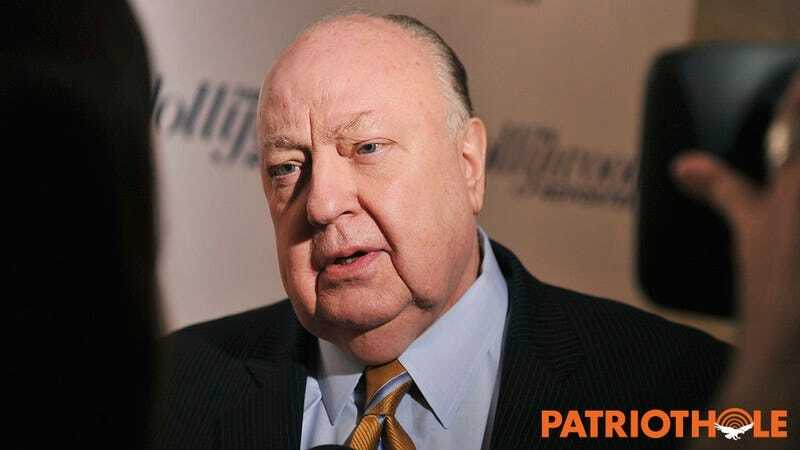 Take a look: Che Guevara, Christopher Hitchens, Karl Marx, John Lennon, and now, Roger Ailes. Notice anything they have in common? All lifeless, decomposing SJW corpses. Each and every one of them. Aw, Roger, was the world not a safe enough space for you that you had to go die? Pathetic. If you’re not yet convinced that Ailes’ treason body wasn’t wrapped up in a SOCIALISM FLAG before being gently laid into a cozy grave where his corpse won’t even have a job, consider this: Now that he’s dead, his family has to pay estate taxes on his fortune. Guess where that money goes? BIG government. On top of everything else, the attendees of his funeral were wearing all black and crying. Sound familiar? The whiny, FREE-SPEECH-HATING Antifa might ring a bell. A spineless act like dying is worse than if Roger had been aborted. If Ailes were a true patriot, his corpse would still be fighting for limited government. One day Ailes is Coach Conservative, helping his team of MVP Republicans at Fox lead America to reclaim its Christian, God-given freedom, and the next, he’s resting nice and comfy in his 6-foot-deep safe space, silent on promoting the idea that abortion is a leisure activity for welfare queens. The right has known no worse TRAITOR to its cause.